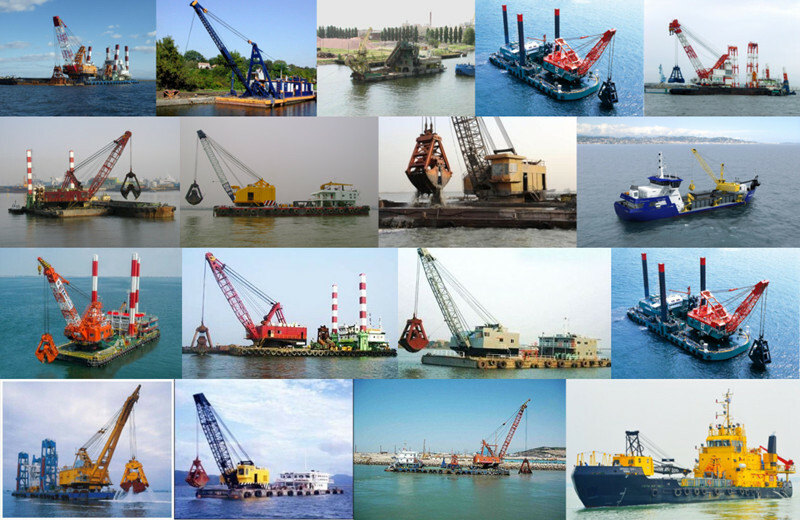 Product categories of Grab Dredger, we are specialized manufacturers from China, Bucket Chain Dredger, Bucket Ladder Dredger suppliers/factory, wholesale high-quality products of Cutter Suction Dredger R & D and manufacturing, we have the perfect after-sales service and technical support. Look forward to your cooperation! Grab Dredger is self-propelled and non self propelled two. Self propelled generally hopper belt, mud tank filled from airlines to mud area dumping; non self propelled by mud Barge clay loading and unloading mud: use of wire rope Grab Dredger, relying on the action of gravity, into the water to a certain depth, by the insertion of a mud layer and a closed grab to mining and grab sediment, then through the manipulation of ship crane mechanical lifting grab out of the water, swing to a predetermined position the sediment discharge into the hopper or mud barge, and so forth. Grab dredger for waterway and harbor pool, and water infrastructure dredging work. Suitable for mining silt, gravel and clay, but it is not suitable for mining sand and silt.